All Midas Owners Club members, with email, should have received have received the renewal notice last Friday afternoon and the January newsletter on Saturday morning. There was a minor hiccup with the newsletter that went out initially as a Word document attachment, but this was then corrected in a second email. As I now seem to have ended up with the job of maintaining the mailing list, I would be keen to hear from any club member who did not receive the emails when they would expect to do so. The club is currently in the renewal process, so anyone who was a member last year should expect to receive the club emails until at least April. Anyone who has already renewed their membership for 2017 should expect to receive emails until April 2018. I know that a couple of email addresses on the list were incorrect and these bounced back. Tony will be contacting these two members to establish their correct email addresses. However, there may have been more members who would have expected to receive the emails and didn't, in which case please contact me directly either by pm, or by posting on this thread. I almost didn't see it, however as my emailing system tucked it away in an obscure folder. It might have been because of the over use of the text formatting especially the red fonts being as red text is considered rude and insulting. I'm actually quite used to seeing red ink all over the place from the red post it notes my ex used to write me and leave on the fridge door being as she's a teacher. What's good about this newsletter in addition to being what looks to be a regular monthly thing for club members now is the good list of upcoming events for us to join in and meet up with other Midas owners. I'm very lucky in that many of these are in my region and it saved me some effort in posting up some "who else is going" postings here on the forum. Great to see this and hopefully there will now be a few more members in other regions dropping the club a line for events they are going to or want to meet up at too. Having said that Who's going to Race Retro this weekend? 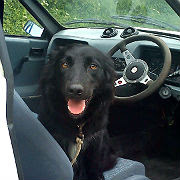 I'm off there with along with 3 other Midas owners on Sunday! I'll ask Dave to go for softer colours with the next newsletter. As I mentioned previously, I've ended up with the job of maintaining the mailing list so if anyone out there is reading this and thinking "newsletter? what newsletter?" then please let me know. I know that a couple of email addresses bounced the newsletter back and Tony will be checking with the members concerned to find out why. Anyone who, like Kelvin, did read the newsletter will have noticed that we have a couple of events pencilled in without a club coordinator. The first of them is the Mini day at the Brooklands museum on March 19th. I know that a couple of Midas owners have been to this event in the past and enjoyed the day. Furthermore, the Mini Marcos Owners Club has booked a stand. So if anyone is planning to go why not grab the opportunity. 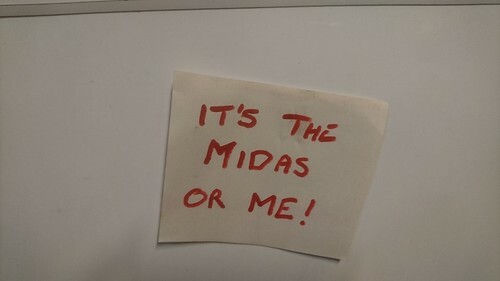 All you need to do is make a post in the Midas Owners Club Meets and Events to say that you are going and to see if anyone else is interested in joining you. It's probably too late to book a club stand, but it might be worth contacting Roger Garland to see if the MMOC has any room to spare on theirs. Oops! and there was I thinking that judicious use of colour to highlight changes etc, would be a good idea! Does the same go for use of BOLD, Italics or Underlining ? I was just wondering if there's a 'best before' date for news items in the Newsletter now that this seems to becoming a regular thing in addition to the magazine. One of the things I am wondering about for example is a list of 'local' people dotted around the country that are happy to meet other Midas enthusiasts. To me it's one of the reasons why I join clubs, i.e. to meet up and chat with other people who have the same interests. Some of you will no doubt have seen that five of us went along to Race Retro the other week. There's also the regular events such as Stoneleigh and The Open Day at Enstone but there's also things going on locally that other Midas Club members are happy to meet up and share such as a recent DEWS event I went along to at the Clay Pigeon Circuit near Yeovil in my Midas. I like the sound of that idea Kelvin....I will work on it for this month ! !